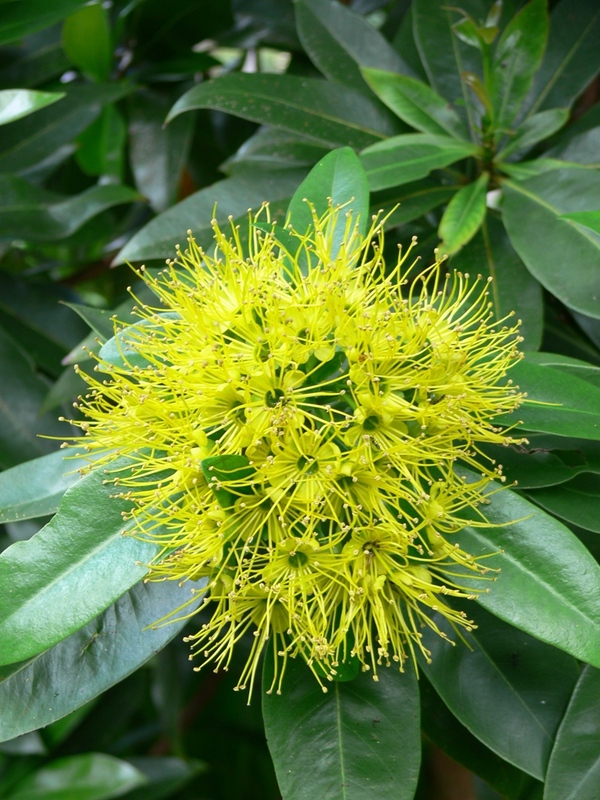 Xanthostemon Chrysanthus - Golden Penda was first described in 1864 by Victorian Government Botanist Ferdinand von Mueller as Metrosideros chrysantha but was subsequently renamed. It is a native to northern Queensland. The species name is derived from the Ancient Green words chrysos 'golden', and anthos 'flower'. 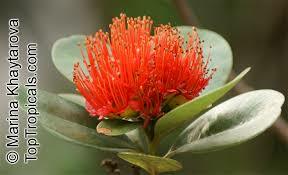 Xanthostemon chrysanthus grows as a tree to 10-15 metres high and 5-8 metres wide in the wild. It is generally much more compact in gardens. The bark is rough and the habit bushy. The flowerheads, measure up to 15cm in diameter. They are made up of numerous small individual golden flowers. Flowering is followed by small woody capsules which are ripe between August and February. Coffs Harbour is awash with Golden Penda at this time of the year. Look out for them on Hogbin Drive at the roundabout that intersects Harbour Drive. Interestingly there is a red variety but difficult to grow - for further information on this, visit CSIRO Xanthostemon youngii. Thank you Sue for this information on our flower of the month. Our resident Sub-tropical/tropical guru did a presentation on Golden Penda May 2015. In his presentation there are some cultural notes on growing this tree in Coffs Harbour. 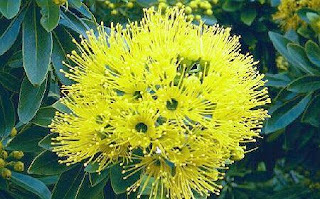 Also worth mentioning is the Golden Penda was selected as the theme plant for World Expo 88 in Brisbane and were planted en-mass and in flower as small shrubs at that time, presenting as a 'Sea of Gold'. This Golden Penda was marketed as 'Expo Gold' and has been popular ever since for gardens in south-east Queensland and beyond, including Coffs Harbour. The Golden Penda has also been selected as the Bundaberg region's floral emblem. Besides the attractiveness of the flowers and foliage, its ease of cultivation in this region's conditions and the suitability of the tree for both private and public spaces was taken into consideration when making the decision.